Hello! Welcome to our weekly Five Minute Friday blog link-up, where we free write for five minutes flat on a one word prompt. New here? Find link-up instructions here. 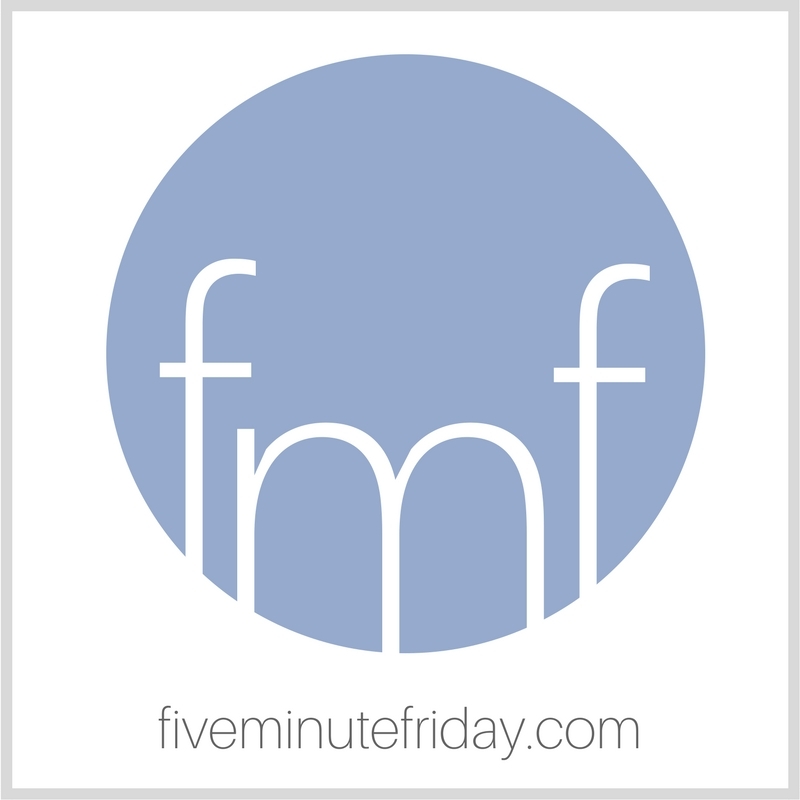 In the recent annual FMF survey, many of you shared that you’d like to hear from more Five Minute Friday community members. So I thought I’d honor your request with our first guest post of 2019, with more to come! Today we have the privilege of hearing from Martell Souder. Some of us were able to meet Martell in person at the 2015 FMF Retreat in Nashville. Her book includes the heart-wrenching story of losing her daughter unexpectedly, and the intense grief that followed. Where is Joy? is an emotional read, but saturated with the hope and peace that can only be found in Christ. Where do you go when life crashes all around you? In the early days of my journey of grief I took refuge in my car when tears overwhelmed me. My daughter’s death put me in a valley I had never imagined. Even being with people who loved me and wanted to comfort me often brought on the need to escape. I found home as my safest place, just being in my familiar spaces provided me the security I sought. In large crowds such as church or weddings, being with my husband created a safe place for me. Holidays were so full of memories; where could we go? We learned to leave town. Our first Christmas without Jennifer found me walking the winter beaches of the Gulf Coast. The ocean sounds and smells, glorious sunrises and sunsets, and the warmth of my extended family members brought me peace in that season. Did I seek out God? Sometime I found solace in his Word; sometimes I poured out my grief, and sometimes I wandered far away. But through long years of walking the valley of grief I eventually found my safest place. Home, safe in the arms of my loving Father. Find author Joy Martell Souder at joymsouder.com or at her Facebook page. Her first book, Where is Joy? Searching for Peace in the Valley of Grief is available on Amazon. Before we go, I want to make sure you know about our upcoming Influence Series! Starting this coming Monday, February 4th, I’ll be sharing two new video interviews each week for six weeks with various Christian writers. I am SO excited to share these interviews with you, as I’ve been so blessed and encouraged by what these fine writers have shared. SIGN UP HERE to get the interviews delivered straight to your inbox! Hugs to you, Joy! Thank you for sharing your heart and your struggle. Blessings and peace to you!